This is one of the first ideas I sketched out for this project, last year in fact. Glad to finally get it done. The background here…Sojun Mel Roshi told us on a visit about different ways the Buddha had been represented historically, including as a handprint, a circle, an empty throne. 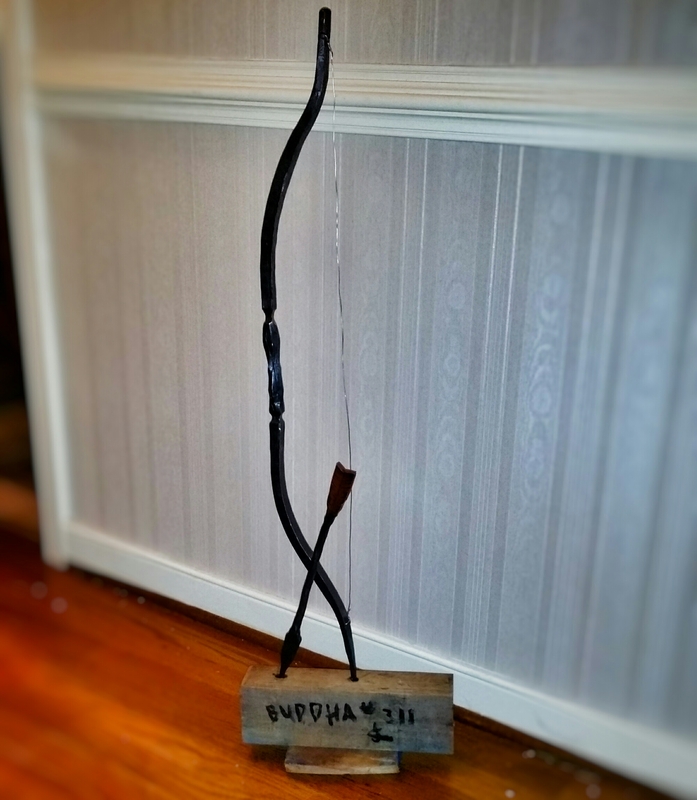 I started thinking about other ways the Buddha could be represented…I think a bow and arrow would be good. Forged mild steel, lock wire and recycled pallet wood. About 3 feet high.